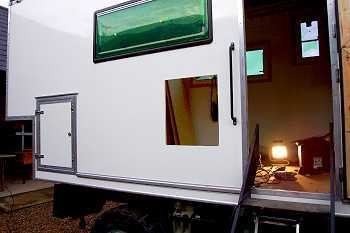 My Unimog campervan has both a compressor refrigerator and a 24 volt microwave oven (replaced with a 2000 watt inverter and mains microwave) fitted under the worktop. Both of these items require ventilation. 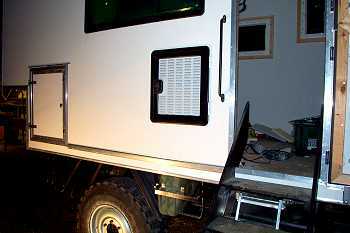 The refrigerator to remove heat from the condenser, and the microwave to extract steam. 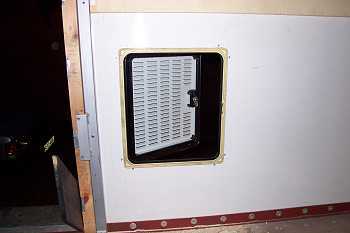 To provide this ventilation I have drilled air inlet holes in the floor and fitted a Seitz ventilation hatch in the wall of the van behind the refrigerator and microwave oven. 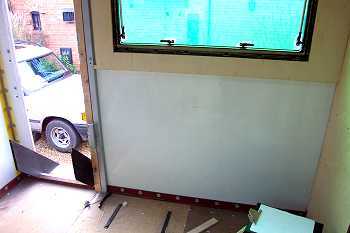 The area behind the refrigerator and microwave is sealed and is not insulated. 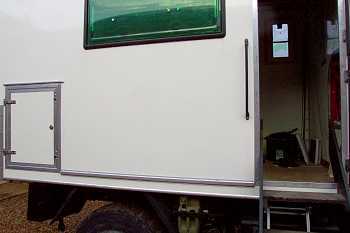 To reduce the energy consumption of the refrigerator its existing insulation is augmented by an additional 30mm of X-trem. 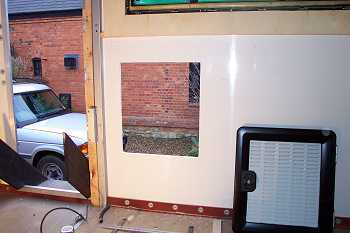 The hatch is fitted into a hole cut in the GRP faced plywood wall of the van with 30 x 4mm screws and Sikaflex 221 adhesive.